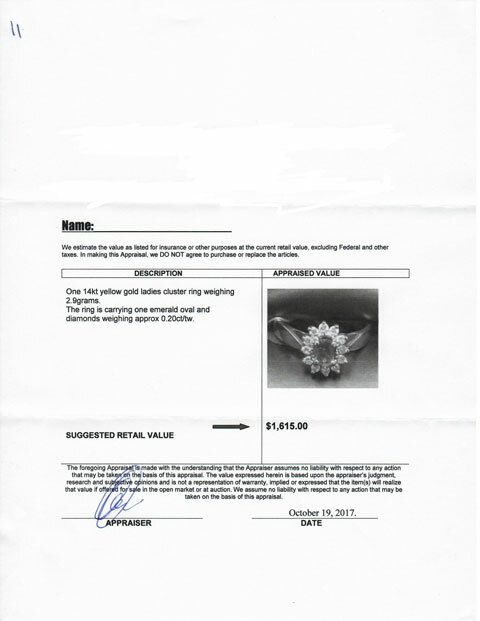 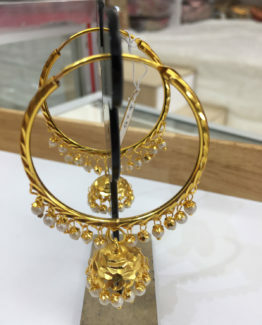 One 14kt yellow gold ladies cluster ring weighing 2.9grams. 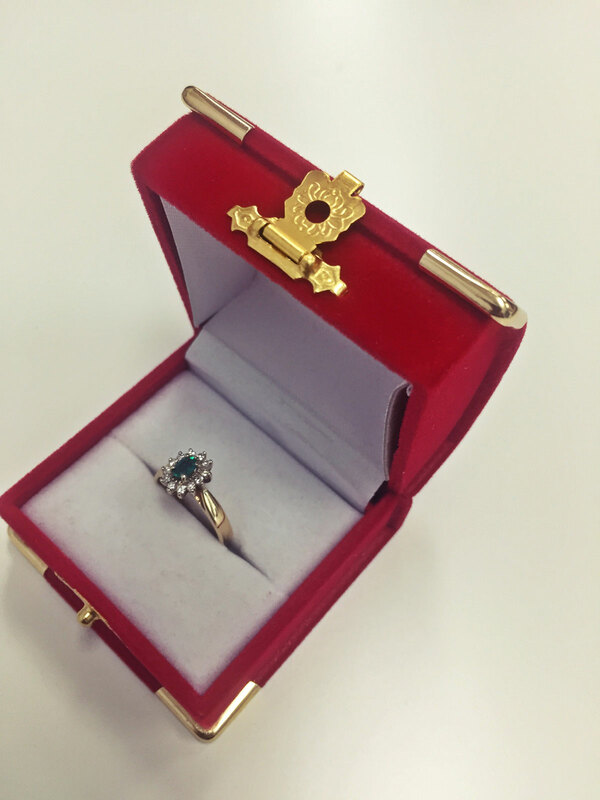 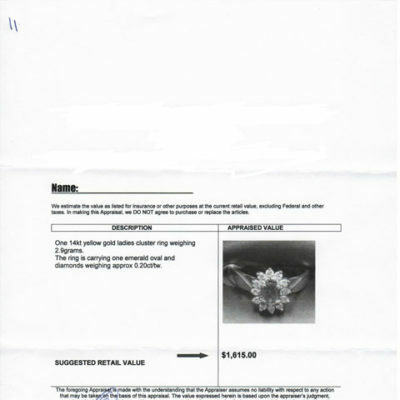 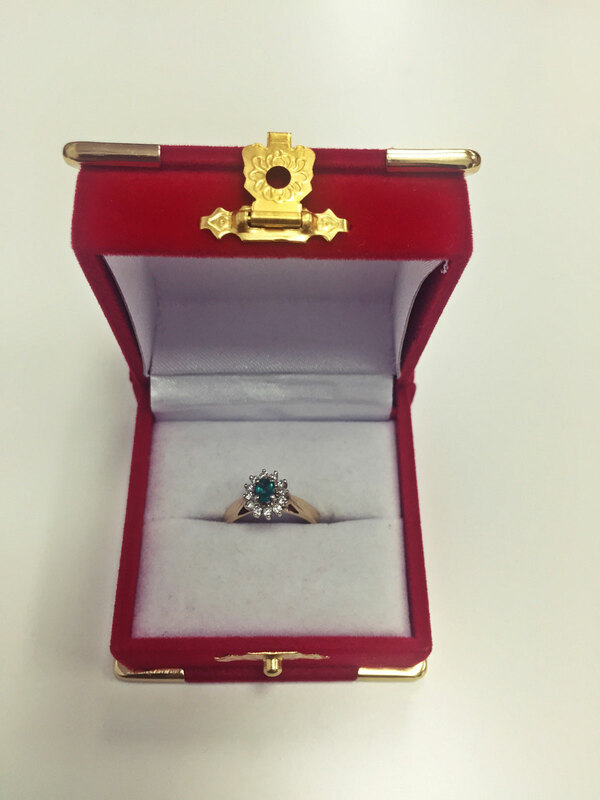 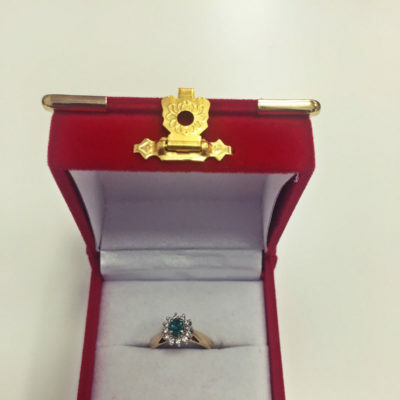 The ring is carrying one emerald oval and diamonds weighing approx 0.20ct/tw. 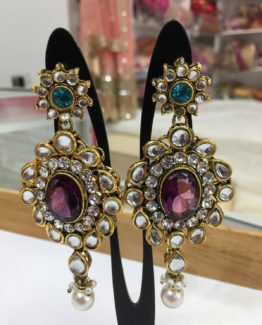 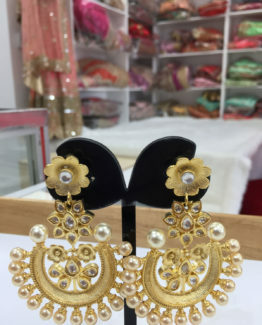 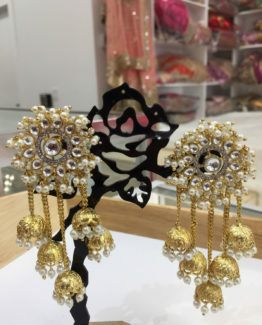 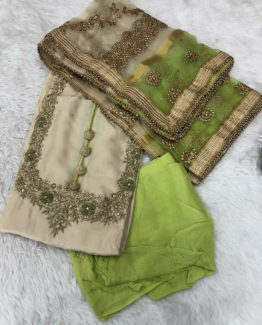 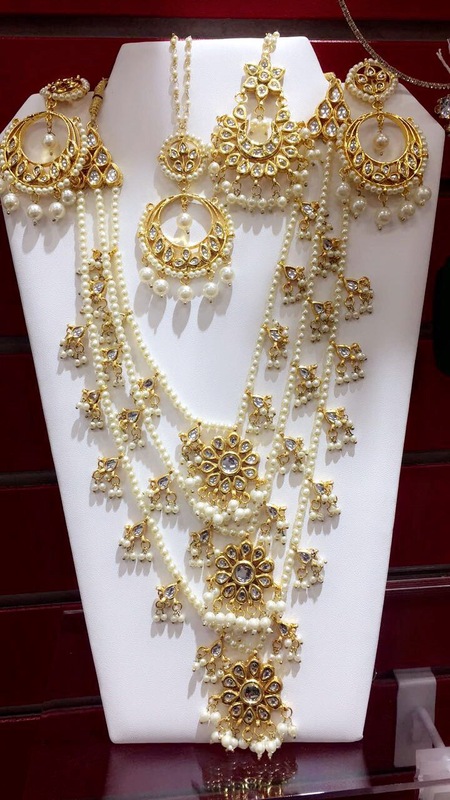 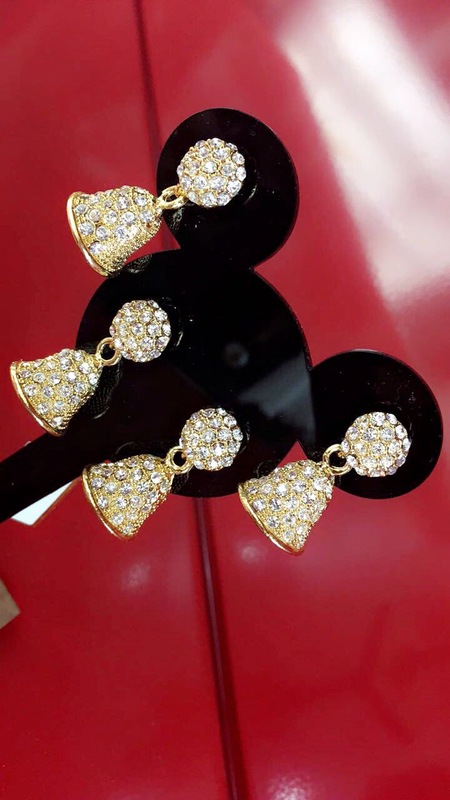 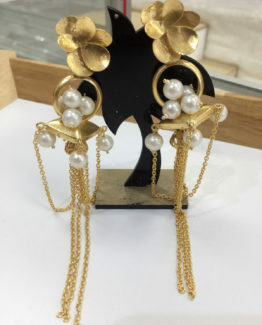 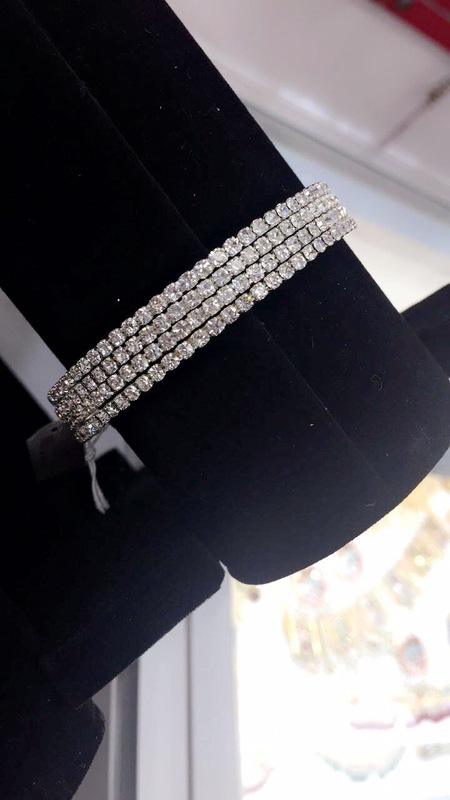 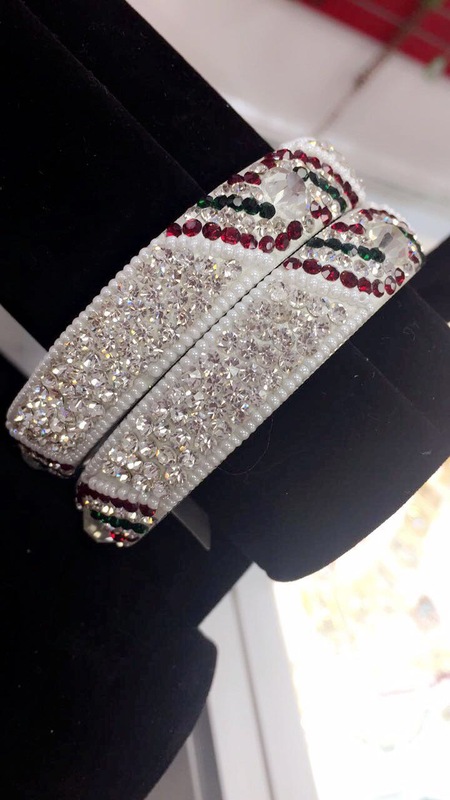 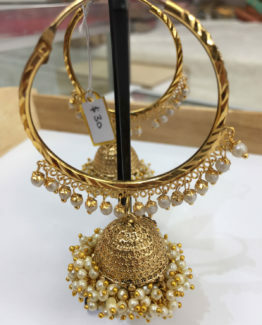 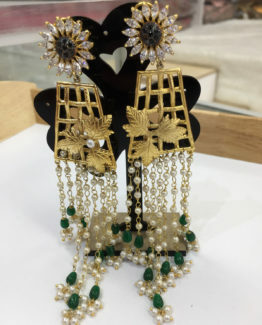 ELEGANT GOLDEN SMALL EARINGS WITH WHITE STUDDED STONES..